Manuel and his family have taken on the considerable challenge of starting up a new ministry in a new field of service. Manuel is in charge of developing a missionary training centre in the jungle town of Atalaya, strategically located for helping prepare workers from the churches of five nearby tribes in the region; the Chipibos, the Ashaninkas, the Piros, the Asheninkas, and the Amahuacas. There are also three unreached tribes in the region that require missionaries. Manuel and Luci have been Bright Hope World partners since 2001. The partnership was initiated through Bright Hope World's Executive Chairman in conjunction with Peter Hocking, the founder of Segadores, an Indigenous Peruvian Missionary organisation dedicated to reach the yet unreached tribes of Peru. Initially they were involved in ministry to the Incawasi people group who live in the northern most mountain region of Peru. 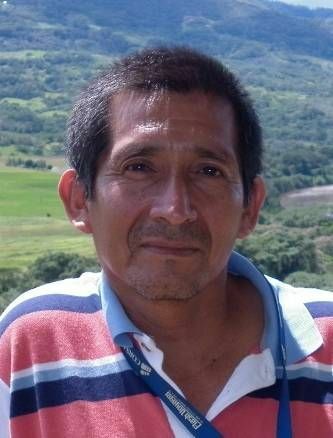 However in 2010 they decided to take a break from the Segadores ministry and took up a pastoral role in their local church in Chiclayo as Manuel was keen to gain some pastoral experience. In 2012 they returned once more to work with Segadores and commence this new ministry. This partnership provides financial support for Manuel and Luci to enable them to carry out their ministry. The people of Atalaya and surrounding tribes will also be indirect beneficiaries. Bright Hope World is encouraged by the fact that this training centre will be reaching out to help workers in five nearby tribes and also training people to reach the three unreached tribes in the region. Manuel and Luci are very competent and have a deep passion for these unreached groups. Manuel was born in 1961, is married to Luci and they have two daughters, Stephanie (born 1996) and Sue Abigail (born 1999). He received Christ at the age of 15 and since then has served the Lord through helping churches in several parts of Peru. 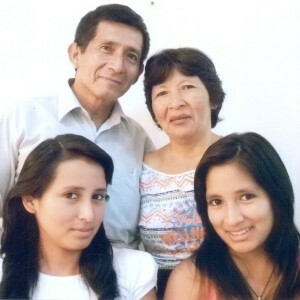 Manuel studied theology in Maranatha Bible Institute in Chiclayo then later at the Evangelical Seminary of Lima. Manuel is gifted at teaching and in leadership. Soon after graduating from the Bible Institute, Manuel was introduced to the Segadores missionary training programmes and participated in them. This opened his eyes to the needs of the unreached in Peru and he became convinced this was the kind of work that God wanted him to be doing. Luci Berru was born in 1962, and grew up in a Catholic family in the city of Chiclayo. At the age of 12 she became a Christian and became active in a Christian Missionary Alliance Church in her city. She did most of her studies in Chiclayo, then later moved to Lima with her family. There she got to know about Segadores, and attended one of their training programmess. She then helped in Segadores as a secretary which was where she and Manuel met. The vision of Segadores is to reach the unreached tribes of Peru, see people commit their lives to Jesus Christ as their personal Saviour and then see churches planted. The training centre Manuel and Luci are seeking to establish will prepare workers to reach unreached tribes and plant churches in that jungle area.